With the arrival of April we can count on the fact that spring is really here -- and I'm sure we all want our cooking to reflect that. 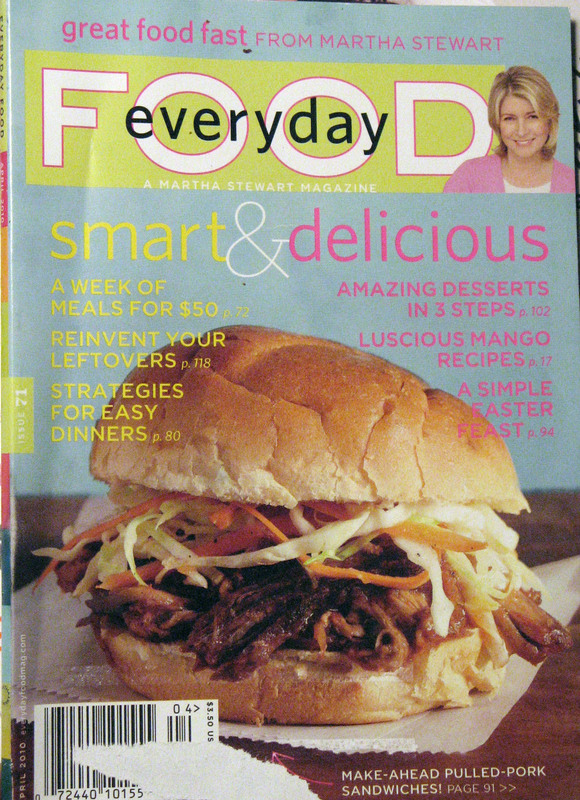 I will admit that I want the food magazines to scream SPRING -- loud enough to make me want to pull them off the rack and take them home. While there are a lot of good recipes in this month's magazines, I felt there could have been a bit more "screaming", especially on the covers. Everyday Food (Heather) is once again filled with a number of very appealing recipes, although I felt that some of the recipes belonged more in the category of winter or fall comfort food, rather than fresh spring eating. For instance, Carmelized Onion and Lentil Soup, Tangy Chicken with Orzo Pilaf, Beef and Tomato Stew, Spiced Tomato Soup, and Using Leftover Mashed Potatoes. On the flip side, there are some spring-specific recipes that look terrific: Roasted Marinated Lamb with Lemon and Rosemary Potatoes, Zucchini Pasta with Ricotta, Tilapia and Quinoa with Feta and Cucumber, Garlic and Chive Dip, Chopped Greek Salad, and Emeril's Chicken-Patty Pockets. All in all, the magazine is worth your perusal. 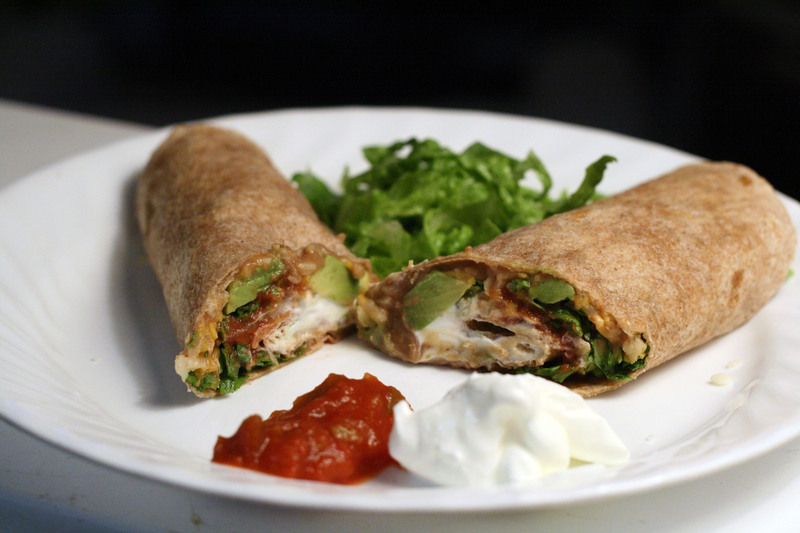 We tried the Bean and Cheese Burritos for a quick and easy (and child-friendly) dinner. Meanwhile, in another small saucepan, warm beans and 1/4 cup water over low, stirring occasionally. Wrap tortillas in foil and place in oven to warm, about 10 minutes. To assemble, divide beans, sour cream, rice, cheese, lettuce, and salsa among tortillas. For each tortilla, fold side closest to you over filling, then fold right and left sides toward center; tightly roll up burrito. Serve topped with more sour cream and salsa if desired. 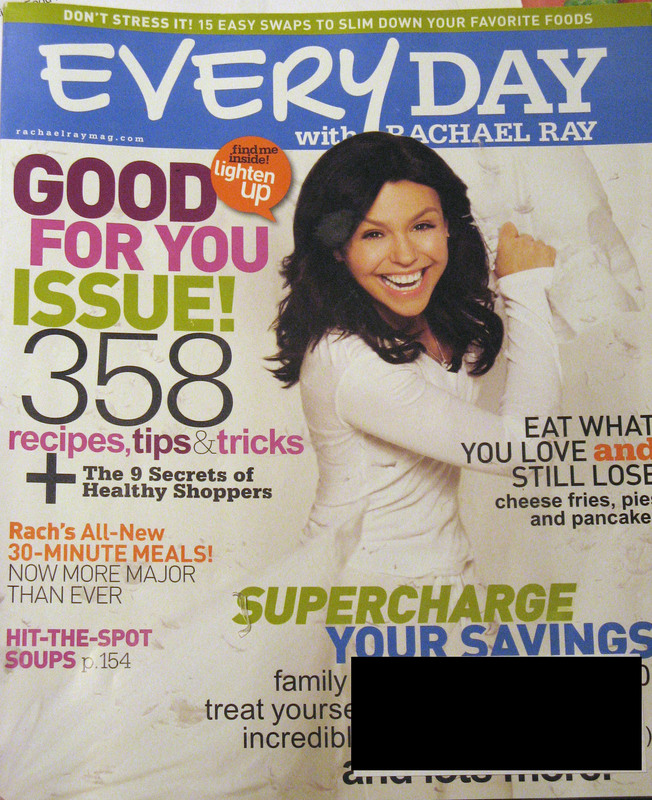 Everyday with Rachael Ray (Heather)-- I felt this magazine really could have flaunted spring just a bit more too, although they did do a good job of incorporating the season into all of their extra non-food columns. The 30-Minute Meals section does feature spring recipes such as Orecchiette with Pancetta and Peas, Denver Eggs-and-Potato Hash Sammies, and Leeky Salmon with Puff Pastry Toppers. There is a fun section on dinner at American diners, complete with recipes for Disco Fries, White Chocolate Banana Cream Pie, Crunch-Berry Pancakes, Hobo Plate, and Curried Chicken Potpies. Other sections include Burger of the Month, Roast Chicken, How to Pull Off a Surprise Party, and Omelets for the Family. Preheat the oven to 375F. 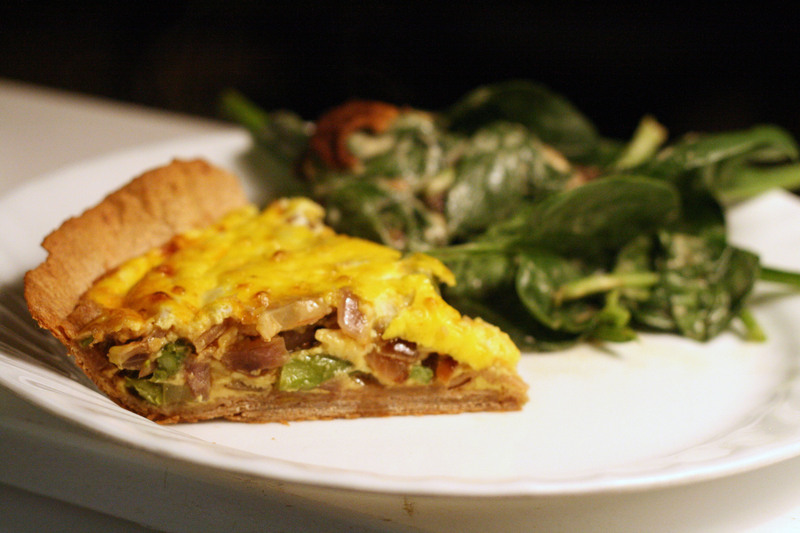 In a greased 9-inch pie plate, overlap the tortillas to make a crust; place on a rimmed baking sheet. Meanwhile, fill a large nonstick skillet a third of the way with salted water; bring to a boil. Add the asparagus and cook until crisp-tender, about 1 minute; drain, rinse under cold water and pat dry (or, use leftover asparagus!). Wipe out the skillet, add the olive oil and heat over medium-high heat. Add the onion and mushrooms, season with salt and pepper and cook until the mushrooms are golden, about 3 minutes. Stir in the asparagus; season with salt and pepper. Spread evenly in the tortilla crust, then crumble in the cheese on top. In a medium bowl, whisk together the eggs and yogurt and season with salt and pepper; pour into the tortilla crust. Bake on the baking sheet until just set in the center and lightly golden, about 30 minutes. Let rest for 10 minutes before serving. Bon Appetit -- (Alaina) Bon Appetit has once again provided a wonderful assorment of recipes that feature spring produce including Korean Rice Bowl with Steak, Asparagus, and Fried Egg, Quick chicken Paella with Sugar Snap Peas, and Fresh Pea and Mint Soup. There is also a wonderful section on cakes. The pictures are stunning and inspiring. I think this magazine remains one of my favorites. I chose to try the Moroccan Carrot Soup. It was amazing! Hands down the best carrot soup I've ever had. The flavors combined in a tantalizing and delicious bowl of creamy goodness. 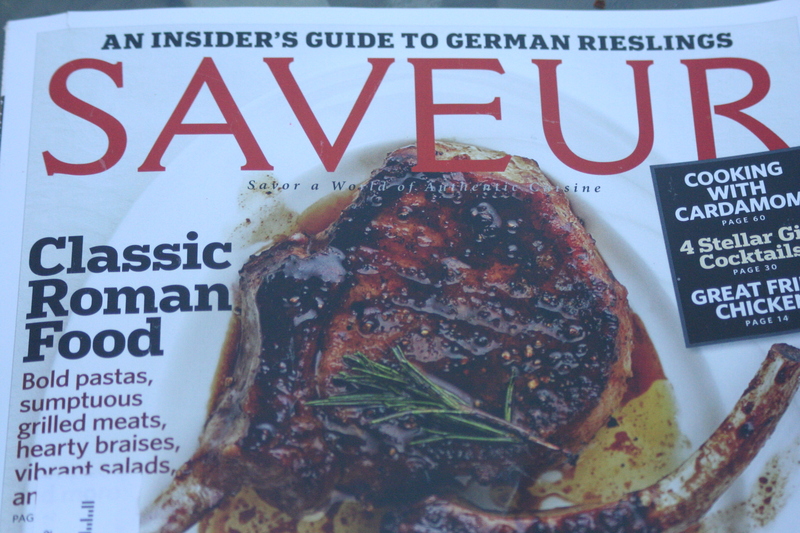 Saveur -- (Alaina) Recently, I qualified for a one-year subscription to Saveur magazine. It came just in time to include in this month's magazine review. This is a delightful magazine. At first glance, it seemed like it didn't have very many recipes but the more I read, the more recipes I realized there were. 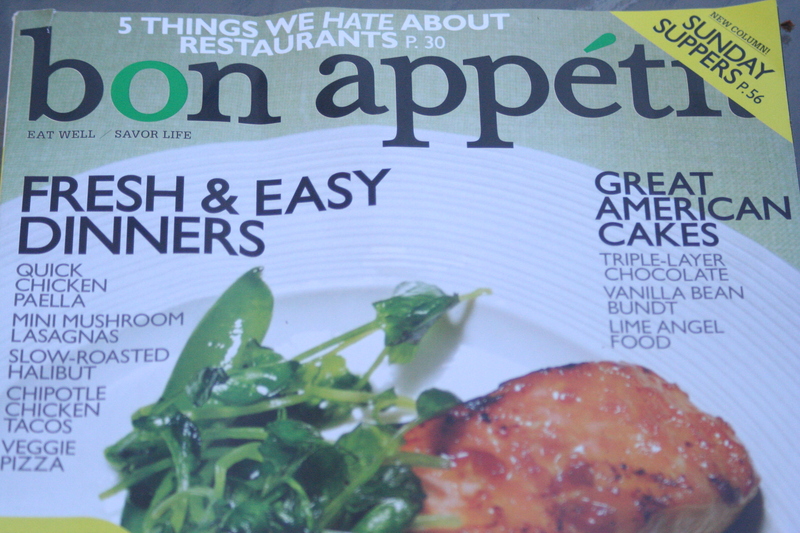 It also has beautiful photos, great articles and information, and wonderful recipes. I'm looking forward to more issues! I enjoyed the way this magazine is layed out. It included an article and photos on Rome, Italy and then gave a lot of recipes to go with it - Cacio E Pepe, Gnocchi Alla Romana, Fagioli Tonno, and many more. It also had a section Taipei (Taiwanese Cooking) with very traditional and authentic recipes. I think that's what I liked the most - it seems like they remained true to the cultures they featured. Cardamom was featured in the April issue and so I decided to try the Cardamom-Ginger Crunch. 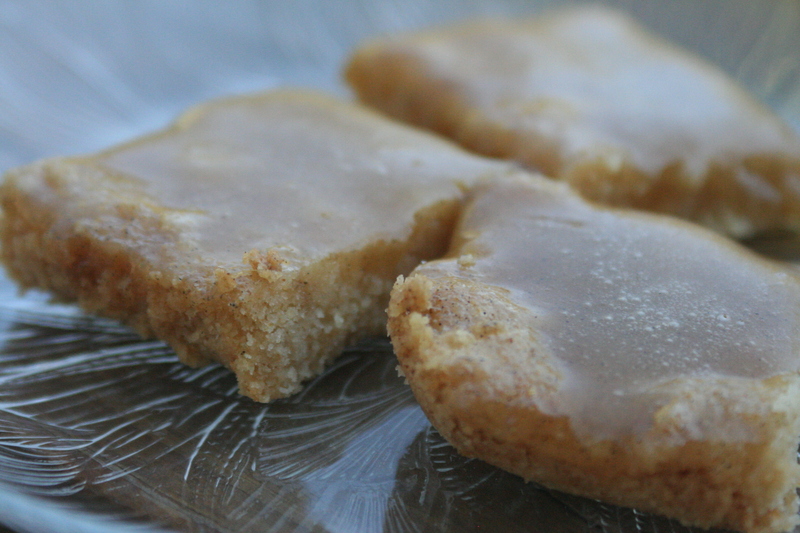 It's a shortbread with a candy-like layer on top. Cardamom is a distinct flavor with a citrusy taste. In my opinion, it's an aquired flavor. I like it, I don't love it. My dad and my youngest son loved it and the rest of us liked it with the exception of my oldest two. I halved this recipe. 1. Heat oven to 375°. Grease a 9" x 13" baking dish; set aside. Put 18 tbsp. butter and sugar in a large bowl; beat with a handheld mixer on medium until fluffy. Add flour, 3 tsp. ginger, 1 tsp. ground cardamom, baking powder, and 1 tsp. salt; mix until incorporated but still crumbly. Transfer mixture to reserved dish; press flat with your hands. Bake until shortbread is golden brown, about 20 minutes. Let cool. 2. In a 1-qt. saucepan over medium heat, combine remaining butter, ginger, cardamom, and salt and the confectioners' sugar and syrup. Bring to a boil and pour over shortbread; cool. Cut into 2" rectangles. 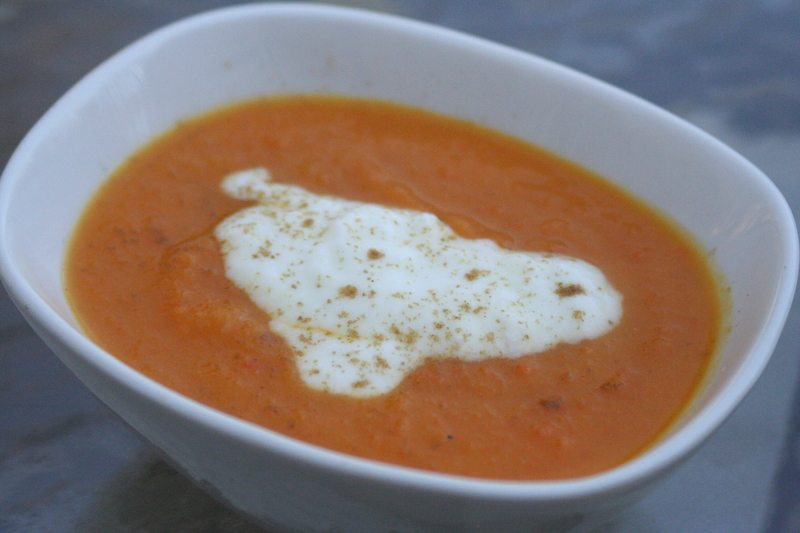 Your resounding endorsement for the carrot soup may tempted me to make it this week! Thanks for sharing!